This listing is for a READY-TO-SHIP Rainbow pillow. Little Rainbow is a dreamy pillow. She has her head in the clouds. She loves to be included in playtime and stories- especially those about magical creatures. The yarns I use make her very soft to hug and cuddle. 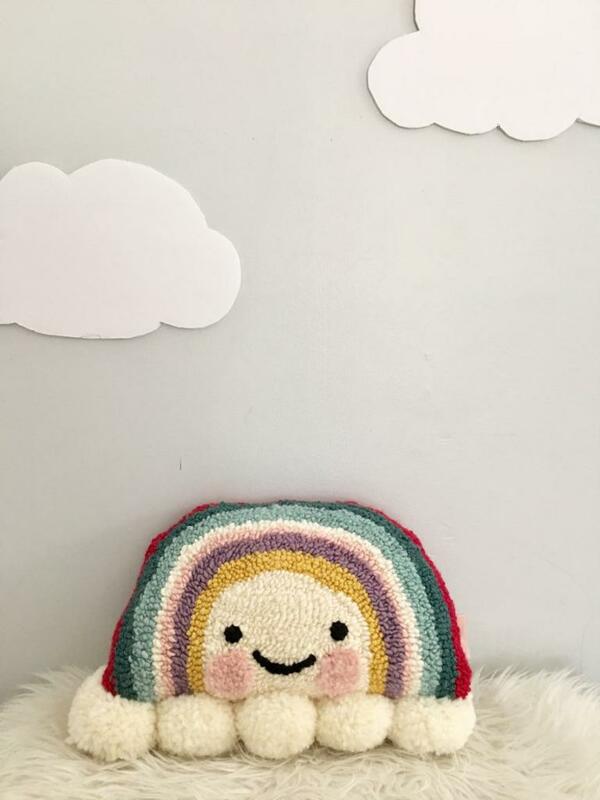 Every Rainbow pillow begins as a hand drawing on monks cloth and is made with hand tufting techniques. It is then stitched to a linen backing. After being filled with poly fill, her fluffy clouds are sewn on one by one. Your Rainbow will be unique due to the nature of creating by hand. Spot clean only. Small snags can be cleaned up with scissors.